What do you get when you cram 100 people into a room in Central London, supply them with food and serve them alcohol? Why, London Vegan Drinks of course! The London branch of the worldwide Vegan Drinks phenomenon is only in its third month but already has turned into a wildly successful event. Last night, close to (or over?!) 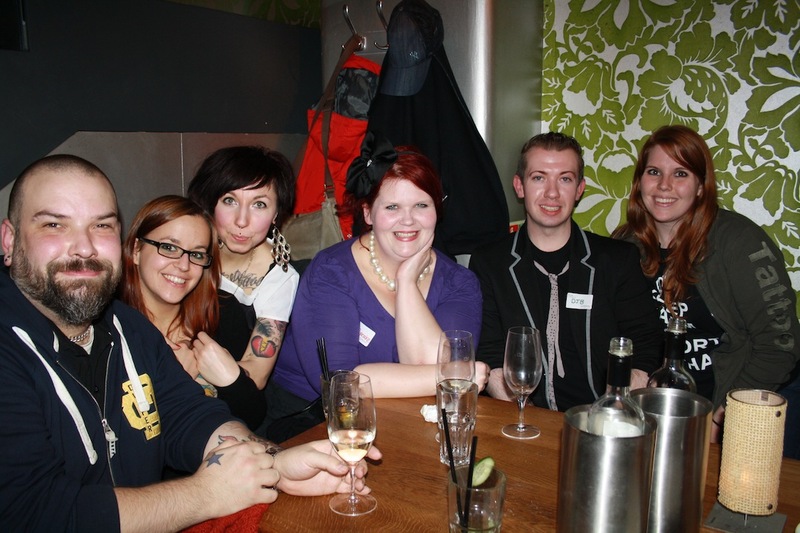 100 vegans and vegan friendlies descended on tibits in Heddon Street for food, drink and a whole lot of socialising. Vegan wine, beer, cider and juice flowed all night, as did the stream of people enjoying an event that already feels like a London institution. tibits made a tremendous effort supplying us with extra vegan options on the food boat. It was a gesture that was greatly appreciated. Special items included kale salad, vegetable gratin, pineapple curry, tiramisu, cheesecake, sticky pudding, blood orange cream and mandarine cream. Everything was stunning. 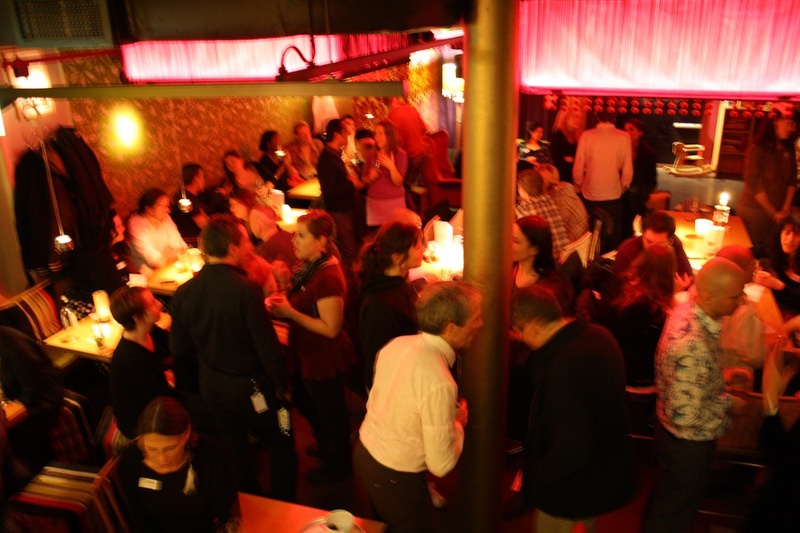 Like tibits on Facebook and let them know what you thought of their hospitality on the night. So many thanks to everyone who made the evening the fabulous night out that it was. A special mention must go to Ms Cupcake and her bakery crew for turning up en masse. Much love to you all. 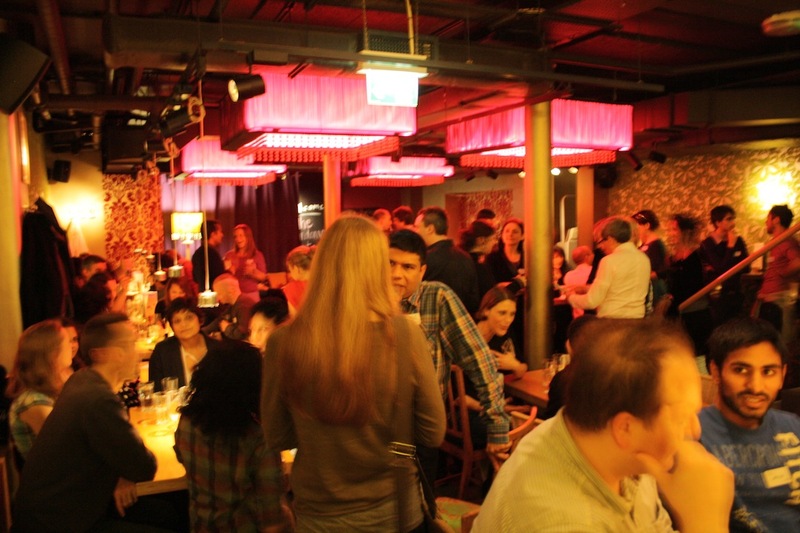 See you all the the December London Vegan Drinks! It was so good! Had a lovely time and met some lovely people and chatted to people whom I already knew were lovely! Can’t wait for next time! Thanks!